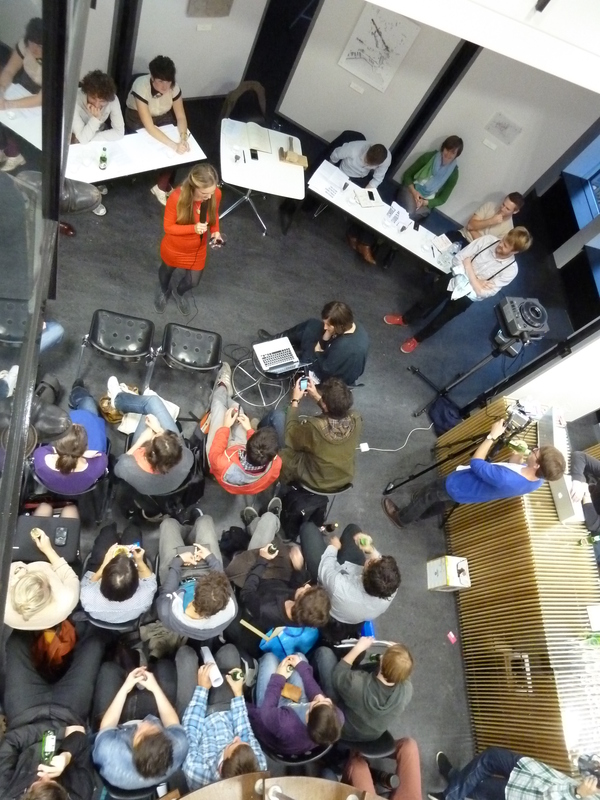 I had the dubious pleasure recently of being asked to be involved in a debate at my School of Architecture, run by Project Context and hosted by SUAS (Sheffield University Architecture Society) which followed an Oxford-style debate format based upon the motion, “Schools of Architecture Should Be Dissolved!”. I was asked to argue for the motion, alongside Sheffield graduate Alastair Parvin, and current staff member Dr Tatjana Schneider. A synopsis or our argument can be found – thanks to Alastair – here, whilst the debate itself was videoed and broadcast live via Livestream. A recording can be found here (the debate itself begins about 20mins in…). A lively discussion with some interesting QandA…but boy am I glad I survived it!